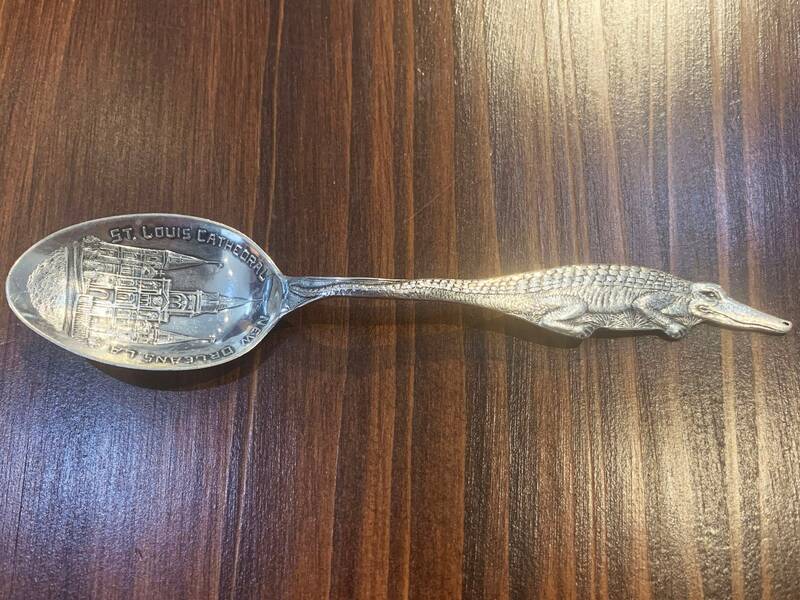 The perfect gift for your favorite New Orleanian, this sterling silver souvenir spoon features a darling alligator handle and an ornately engraved depiction of the St. Louis Cathedral. 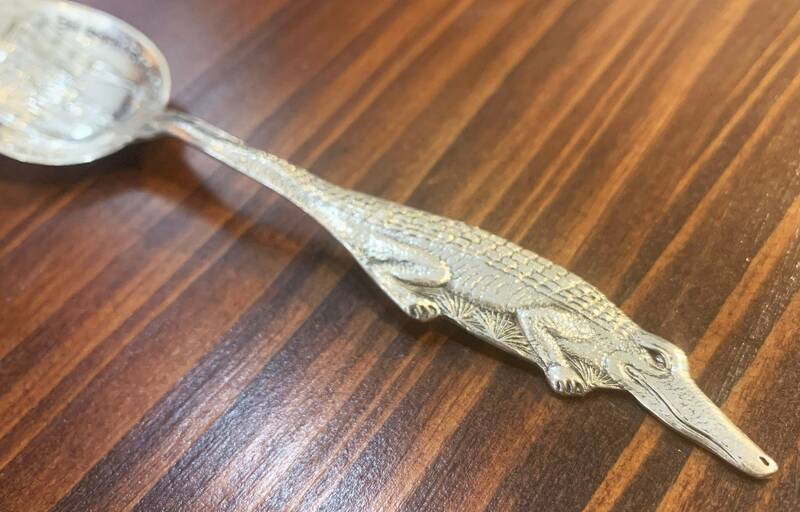 Crafted by Paye & Baker in the early 1900's, this collectable is sure to become a treasured family heirloom. Paye & Baker MFG. Co. was founded in North Attleboro, Massachusetts in 1891 as successors to Simmons & Paye. 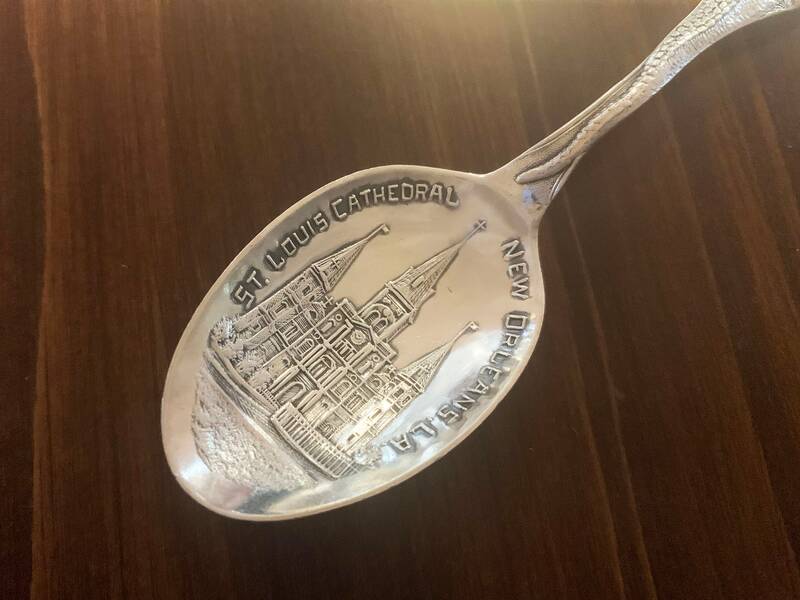 Their early work consisted largely of sterling silver souvenir spoons and silver plated holloware, Dutch reproductions, and novelties. 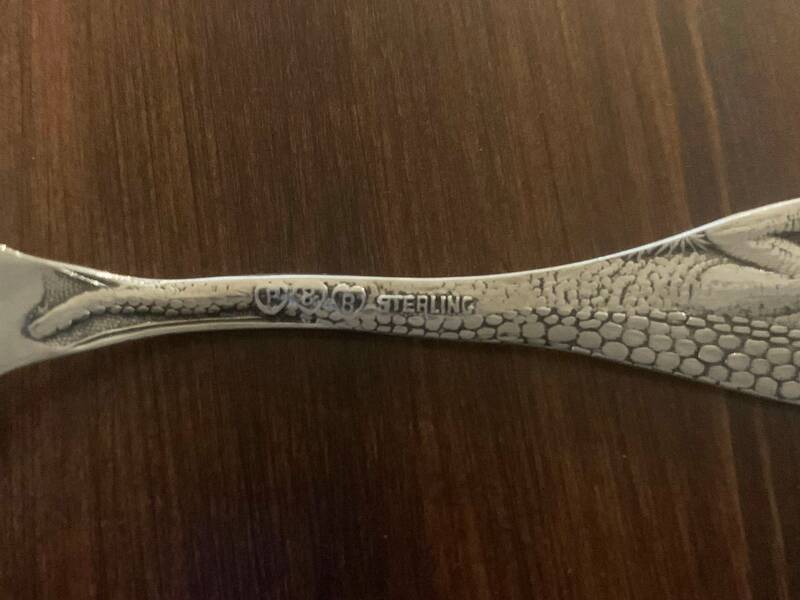 The company discontinued their production of flatware in 1920 and remained in operation until 1935.